So much modern music is taken up with the construction of musical jigsaws. I'm not saying, of course, that modern composers do not think about anything other than music. But from my point of view, their music is an idolatory of systems, procedures and notes. If inner truth is not revealed in our music, then it is false. It is one thing to follow a spiritual inclination and another to suppose that the idolatory of 'art' is any sort of realization of the spirit. Those are the words of Sir John Tavener who has died age 69. My personal measure of a composer's greatness is how often I listen to their music, and, quite unfashionably, in recent years I have spent a lot of time with Sir John's music. Recently I wrote of his links with the perennial wisdom tradition and his The Veil of the Temple - distilled from the eight hour original to a two hour recording - has travelled with me on my iPod effortlessly across state and cultural boundaries; I remember being particularly moved listening to it in the early morning in a Moroccan Berber village a few years ago. Sir John's spiritual home was, of course, the Orthodox Church and my travels this summer to the Priory of Santa Maria del Vilar in Languedoc, now home to a Romanian Orthodox monastic community, were greatly enhanced by listening to his Ikon of Eros in the recording by the musicians it was written for, the now tragically jeopardised Minnesota Orchestra. Earlier this year I wrote of how Sir John's later works distilled his wide-ranging esotericism down to something truly approaching the inner wisdom of gnosis, and recommended his Lament for Jerusalem for those blocked by Song for Athene. Two years earlier a post about Sir John's syncretic Requiem described the final movement Ananda, a pulsating arch built around the words "I am that - I am God" sung in Sanskrit, Hebrew, Greek and Arabic, as a thing of both great beauty and truth. A passion for Sir John Tavener's music is almost certainly the only thing enthusiasm that I share with our heir to the throne. Prince Charles commissioned The Beautiful Names, a work based on the ninety-nine names for Allah found in the Qur'an, and Sunnah, and a commercial recording of this paean to perennial wisdom is overdue. After so long in the musical wilderness the tide was at last turning back towards Sir John's timeless vision of inner truth. His early death is a grievous loss and my thoughts go to Maryanna and his family. Also on Facebook and Twitter. 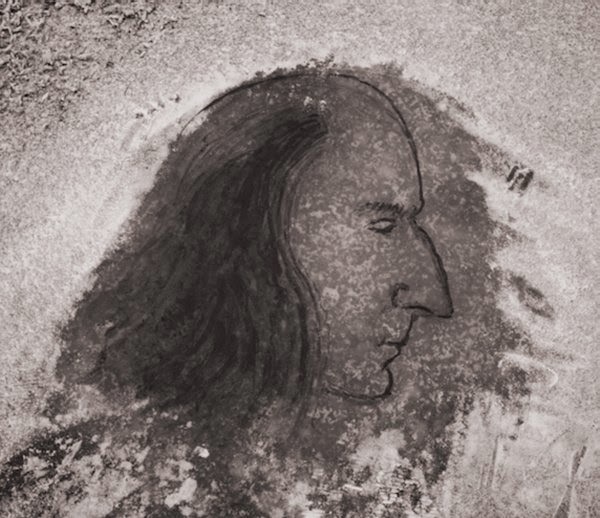 Portrait of Sir John Tavener by Páll Guðmundsson via Maryanna Tavener. Quote is from John Tavener: The Music of Silence edited by Brain Keeble. Any copyrighted material on these pages is included as "fair use", for the purpose of study, review or critical analysis only, and will be removed at the request of copyright owner(s). Two days after the World Trade Center bombing on September 11, 2001, the Vespers Choir of Duke University sang Tavener's "Funeral Ikos" during their weekly Thursday Vespers service. I'll never forget it. It was brilliant programming on the choir's part; and they sang it beautifully.